Lisa C. Germano, JD, CPA. President and General Counsel. 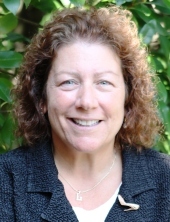 Lisa co-founded Actuarial Benefits & Design Company in 1989 with Debra D. D. Coyner, CPA, JD. Lisa is admitted to the Bars of Virginia and Ohio and is licensed as a Certified Public Accountant by the Commonwealth of Virginia. Since 1987, Lisa has been a Principal in the law firm of Coyner & Germano, located in Charlottesville, Virginia. In 2008, Lisa was appointed by the Commissioner of the Internal Revenue Service to the Information Reporting Program Advisory Committee. She served as Chair of the Board of Directors for the Virginia Society of Certified Public Accountants from 2015-2016 and was on the Board from 2003-2005 and 2009-2010. From 2005-2008 Lisa served on the Board of Directors for the American Institute of Certified Public Accountants. Since 2008, Lisa has Co-Chaired the Internal Revenue Service EP/EO Joint Council meeting in Baltimore, Maryland. Debra D. D. Coyner, JD, CPA. Executive Vice President. Debra D.D. Coyner, JD, CPA founded Actuarial Benefits and Design Company with Lisa C. Germano. Debbie is admitted to the Bar in Virginia. She is also a Certified Public Accountant in the Commonwealth of Virginia and a Principal in the firms of Coyner Associates and Coyner & Germano. Debbie received her B.S. in Commerce, University of Virginia, and J.D., University of Richmond. She was an Accountant with the firm of Robert M. Musselman, CPA, 1979-1986. She was appointed member of the American Institute of Certified Public Accountants Business Law Subcommittee from 1991-1997 and Vice Chair of the committee from 1996-1997. She is a member of the Virginia Society of Certified Public Accountants, the Charlottesville-Albemarle Bar Association, and the Charlottesville Chamber of Commerce. Debbie has lectured on different tax matters of various professional organizations. 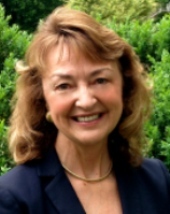 Goldie C. Marks, QPA, CPC, ERPA. Senior Associate. Goldie joined Actuarial Benefits & Design Company as an Associate in 1989 and was promoted to Senior Associate in 1996. She is a Qualified Pension Administrator, Certified Pension Consultant and an Enrolled Retirement Plan Agent. Goldie is a member of the American Society of Pension Professionals and Actuaries. She was a co-instructor for ASPPA courses in 1996 and annually provides training in administration software and technical applications. Goldie performs compliance testing, valuations and feasibility analysis of 401(k) and other defined contribution plans and is responsible for client relationships and consulting. She has more than 26 years’ experience in qualified plan compliance, including actuarial computations and valuations, with special expertise in related technology and its use for retirement plan and design. Mary S. Blankenship, QPA, ERPA. Senior Associate. Mary joined Actuarial Benefits & Design Company as an Associate in 1989 and was promoted to Senior Associate in 1996. She earned the designation of Qualified Pension Administrator from the American Society of Pension Professionals and Actuaries and is a member of that organization. Mary is also an Enrolled Retirement Plan Agent with the IRS, allowing her to negotiate directly with them on behalf of the plan sponsor. She is also a resource for Actuarial Benefits & Design’s Legal Dept. and heads up the government relations group by working with the Department of Labor and IRS as they audit the retirement programs sponsored by our clients. Mary has more than 26 years’ experience in drafting documentation for qualified retirement plans, with 16 of those years working in qualified plan compliance, consulting and working with the IRS and the DOL regarding their correction programs.